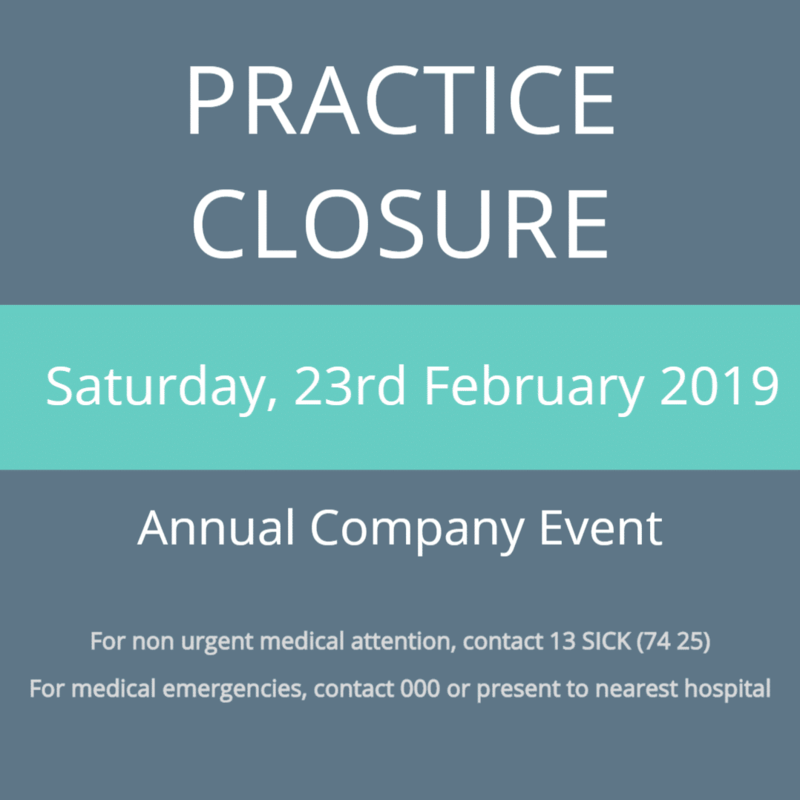 Please be advised that we will be CLOSED on Saturday 23rd February 2019 for a company event. Onsite Laverty Pathology will also be closed. The closest Laverty collection centre to us is at 175 Burns Bay Rd, Lane Cove NSW 2066, and is open 8.30am – 11am every Saturday. If you need urgent medical care, please call 000. For after hours medical care, please contact the National Home Doctor Service on 13 SICK (74 25). We sincerely apologise for any inconvenience, and thank you for your understanding. We resume normal hours Sunday, 24th February 2019. 9am – 1pm.